The Destiny 2 Heroic Public Events are a big step up from their normal counterparts, but they'll offer you some of the best rewards in the game if you can successfully trigger them. In this Destiny 2 Heroic Public Events guide, we'll be walking you through how to unlock Heroic Public Events, as well as all the Heroic Public Event rewards you can get your hands on. 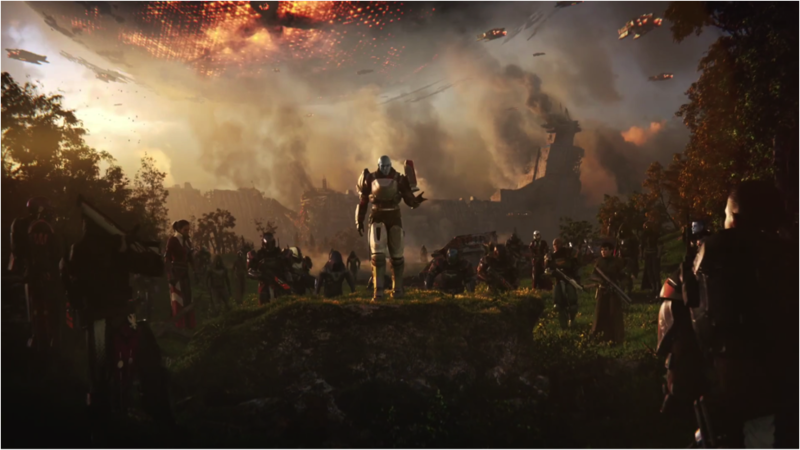 Should you instead need anything else on Destiny 2 that isn't Public Event related, including a walkthrough of every Strike mission in the game, as well as our comprehensive Leviathan Raid guide, make sure to check out our Destiny 2 guides walkthrough hub. Even if you've only dipped your toe into the ocean that is Destiny 2, you'll know all about Public Events. All you have to do is 'rally to the flag' you see anywhere nearby, and you can team up with any other nearby players to stop an enemy force. Public Events a very straightforward version of PvE, but there are somewhat secret ways to actually upgrade the difficulty of the Public Events, to turn them into Heroic Public Events and upgrade the rewards you'll receive from each Event. We'll now run down every type of Heroic Public Event in Destiny 2, highlighting how to enable each one. This one requires timing, and a bit of precision. 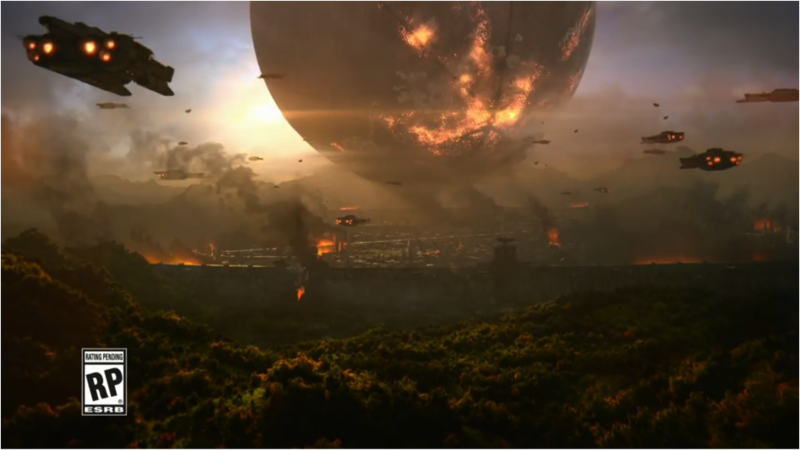 While you're trying to take out the Cabal drill, focus your fire instead on the Cabal ship flying overhead. 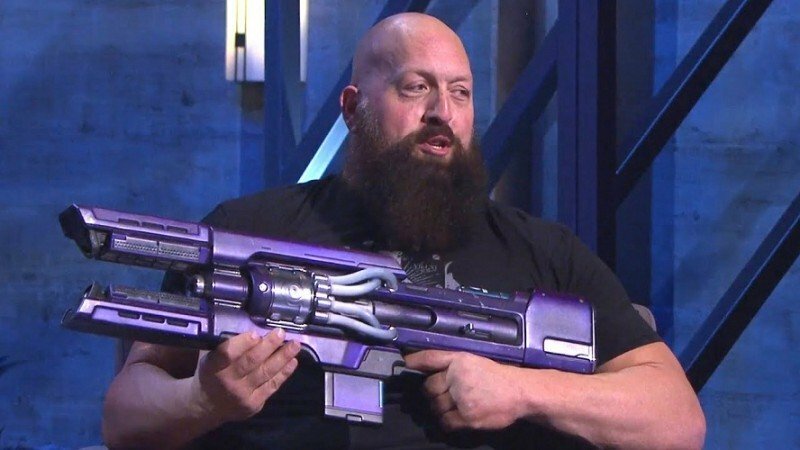 If you can destroy it before you take out the drill, you'll upgrade this to a Heroic Public Event. Whereas the previous event required precision, this Devil Walker event requires teamwork. When you're going up against the walker, shoot the legs to spawn a number of glowing orbs. Pick these orbs up, and deposit them in the sockets located around the arena. Once you've done all of this, a second Devil Walker will arrive, and this event will be upgraded. As you will have done in the Pyramidion Strike, you'll need to have players stand in three rings located around the arena at once, in order to upgrade this to a Heroic Public Event. Note that you can only do this with more than a minute remaining on the Public Event clock, so you'll need to coordinate quickly with your teammates. Now this Public Event is a tricky one to upgrade. You'll need to keep shooting the huge Servitor until it spawns a number of smaller Servitors, and then you'll need to keep taking these smaller ones out, as they arrive repeatedly in waves. Bear in mind that the smaller Servitors can entirely vanish from battle should too much time pass, so you'll need to get your skates on to destroy all the smaller Servitors. There are three Glimmer Extractions that take place over the course of this Public Event, and in order to upgrade it to a Heroic Public Event, you'll need to target a small, round object on the floor, that spawns along with each group of enemies. Destroy this three times, and you'll upgrade the event. This Public Event can be quite difficult to upgrade, as you'll need to withstand a fair amount of damage in the process. Whenever you kill a Psion in the Injection Rig event, you'll start taking burning damage, but vent ports on a the rig will open up, allowing them to be destroyed. Should you destroy all the vents, you'll upgrade to a Heroic Public Event. For this event, your team will need to step into all the bubbles dotted around the vicinity, in order to then deal damage to the larger bubble. Should you dole out enough damage, a formidable boss will appear, and this event will have been upgraded to a Heroic Public Event. As soon as this event starts, take out the first two Hive Witches as quickly as possible. After this, spread your team out so you can capture both the circles around the arena at once. Should you do this before all the Hive Witches are destroyed, you'll upgrade this to a Heroic Public Event.